Ecetera (etc) has been established since 1999. 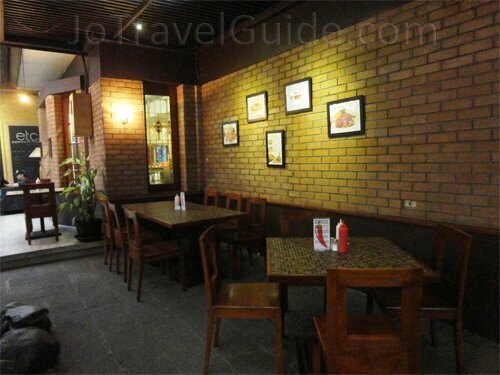 It serves Western food, such as Popeye Steak (beef with spinach, sweet corn, baked potato, and mushroom sauce), Blue Cheese Steak (grilled beef with mushroom ragout, broccoli, cheese, and mashed potato), T-bone Cowboy (t-bone covered by chili butter and served with corn, mashed potato, and mushroom dry chili), Asian food, such as Nasi Goreng Ikan Cakalang Manado (fried rice with cakalang fish and spices). One of their special beverages is Arnciel (mix of kiwi, mango, and strawberry). As their motto: "Cooking is about passion, about love, and about dedication. 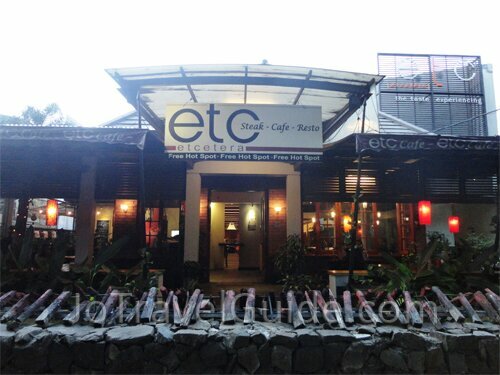 It is seriously fun", Etcetera always create new menus every one to three month. Click the picture above for more and bigger photos of Etcetera (etc). 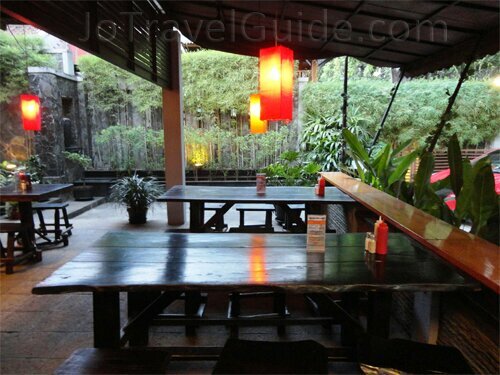 Etc has a good air circulation by a small garden within the restaurant and decorated by wooden furnitures and couches. 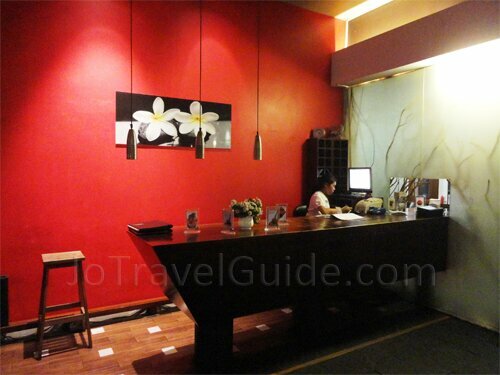 It can accommodate until 150 visitors. 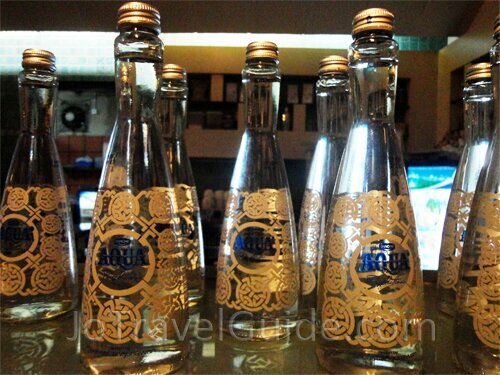 Moreover, they have a unique mineral water bottle designed by a famous Indonesian fashion designer, Sebastian Gunawan. Remarks : credit card payment accepted. It usually crowded on evening and weekend.